HUGE Candy Clearance - Snickers/Hershey's/Wonka Halloween Candy Bags Just $3 (Reg. $9)! You are here: Home / Great Deals / HUGE Candy Clearance – Snickers/Hershey’s/Wonka Halloween Candy Bags Just $3 (Reg. $9)! 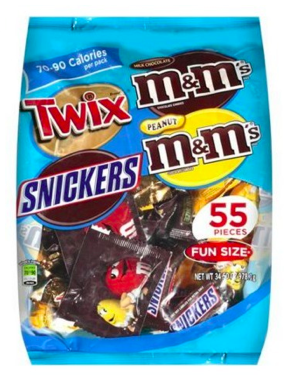 HUGE Candy Clearance – Snickers/Hershey’s/Wonka Halloween Candy Bags Just $3 (Reg. $9)! Shipping is FREE on orders of $50 or more OR may be FREE with Site-to-Store Shipping!!! Love free and discounted things.